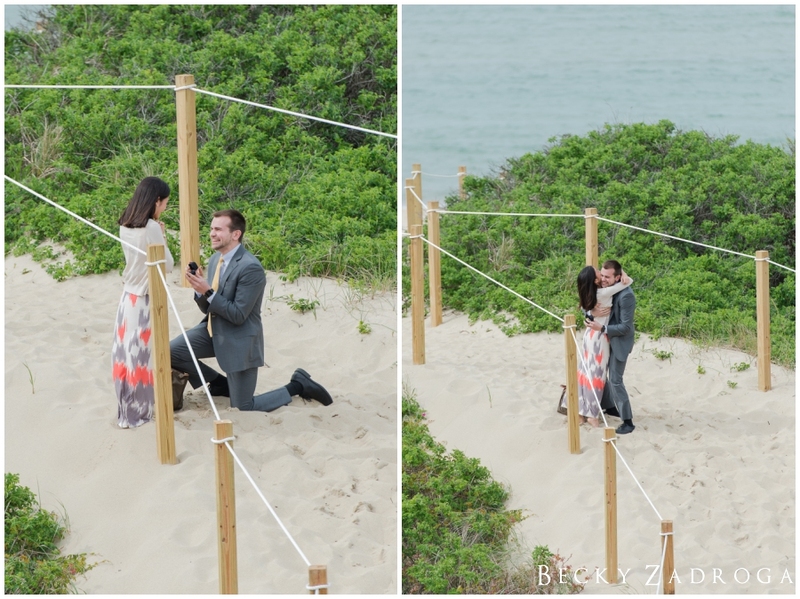 Spring marriage proposals on Nantucket are all the rage lately, and why shouldn’t they be?! Nantucket has the most amazing locations to pop the big question. Although Mike and Jennifer live off island, they visit frequently and Steps Beach is a favorite island location for them. After several conversations with Mike we worked out the most perfect proposal plan. While I hid in the bushes, the couple would walked down the steps along the path to the beach where Mike would dropped down to one knee and propose. The plan worked, and she said YES!! After they gave each other many hugs and kisses, we continued down by the water for more photos and even took a few quick shots down by the docks before the two love birds met up with family for a celebration dinner in town.